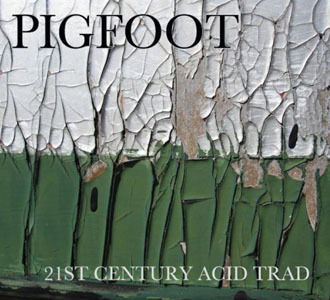 THERE’S A REAL KICK to this debut album from Pigfoot. Not content with trotting out faithful, modest versions of 1920s and ’30s jazz standards, this acoustic ‘trad. quartet’ scratches at their familiar surface to explore – as the title hints – surprisingly gritty, off-the-wall interpretations of Fats Waller, Duke Ellington, Sidney Bechet, and so on. Founded in 2013, it turns out that Pigfoot’s anarchic line-up is an exciting who’s-who of contemporary jazz innovators – trumpeter (and founder member of Loose Tubes) Chris Batchelor; tubist Oren Marshall (to be found alongside Shabaka Hutchings in Sons of Kemet); that most influential and imaginative of pianists, Liam Noble; and drummer Paul Clarvis (find me a more expansive CV!). It’s quite possible to imagine the odd incredulous snipe at their brash, seemingly-irreverent approach – perhaps whispers of ‘king’s new clothes’ or Bonzo Dog references (remember their wonderfully mocking late ’60s parody, Jazz (Delicious Hot, Disgusting Cold)?). But peel back the layers (see cover art), and there’s an unabashed and, I sense, affectionate desire to render these classic tunes in outlandish textures and colours to bring a freshness to them – and with that unexpectedness, they become increasingly absorbing. Indeed, I am now at the stage with this live recording – from London’s Vortex Jazz Club – that it’s difficult to eject it from the car CD player, such is the adroitness, humour and downright feel-good of these eight extended tracks. 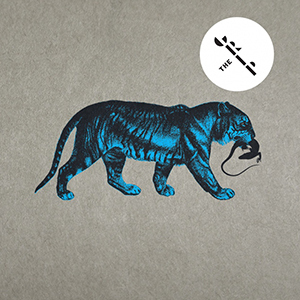 Spencer Williams’ Basin Street Blues maintains its New Orleans origins, yet Liam Noble’s dissonant chords and Paul Clarvis’s deliberate, almost bumbling drum rhythms give it a fascinating edge. 12th Street Rag is positively outrageous with its haphazard tempi, although Oren Marshall’s steady, plodding tuba (plus a few liberties and a blustering solo) keeps some semblance of order, Chris Batchelor blasting melodies in various keys – perfect (or, happily, ‘imperfect’!). Fats Waller’s Jitterbug Waltz rattles along impetuously, the improvisations becoming more and more jaunty and extreme until, ultimately, triple time breaks helplessly and wonderfully into Wilson Pickett’s In the Midnight Hour. Tennessee Waltz eases the pace, Batchelor stating its deep southern spiritual tune which Noble then carries away to extemporise in typically jarred invention (it works so well against fluttering drums and drawling tuba). Gospel pairing Just a Closer Walk with Thee and His Eye is on the Sparrow teases with a fairly straight rendition, Batchelor’s bright trumpet melody eventually signalling disorder which includes a belting, bluesy tuba solo – and Clarvis takes full advantage of the mayhem before the four conclude ‘repentantly’. Pigfoot clearly revel in the Duke Ellington favourite Mood Indigo, disassembling it with ease, but never straying completely from its familiarity; Batchelor’s impressive muted and spurting trumpet techniques are a key feature. And there’s more than a touch of mischief to Sidney Bechet’s tangoing Petite Fleur – but the experience of these guys is evident as they hold it together with various random acts of rebellion. 1920s standard Nobody Knows You When You’re Down is a closing show-stealer. Batchelor’s forlorn, inebriated trumpet (“Once I lived the life of a millionaire, spendin’ my money, I didn’t care”) sets up this beautifully bold ten-minute slow blues, the quartet presenting a typically audacious and stoic response to its original themes of prosperity fail. The conviction and, yes, humour in this performance (especially Oren Marshall’s tuba) provides a suitably profuse conclusion to these fifty entertaining minutes of ‘acid trad’. Released on 31 March 2014, with the quartet touring in the Autumn, this is a rollickingly great experience to seek out – it certainly brings a smile to my face. In fact, I happily concur with Bessie Smith – ‘Gimme a Pigfoot (and a Bottle of Beer)’!